"I had the great pleasure and honor of working with Jim..."
"John and I worked with Jim at the school district for many..."
"It was a Privilege to serve with you. Your passion for..."
"Jim was one of the first administrators for what was Pan..."
"Such a great man. He will be missed. I worked with him at..."
Jim Tangeman, 81, of Vancouver, Washington, passed away October 19, 2018 after suffering a fracture and related health complications. He was born to Alvin and Rachel (Farrier) Tangeman in Chambers, Nebraska. Jim grew up on the family farm southeast of town. He attended school in Chambers, and from there, Chadron State College, the University of Colorado for his Master’s degree, and finally the University of Wyoming for his Doctorate in Psychology. Along the way he had two sons and a daughter; Greg (born in Scotts Bluff, Nebraska), Todd (born in Denver, Colorado) and Amanda (born in Vancouver, Washington). Jim was married to his wife, Jan Tangeman for 29 years until she passed in 2007. He was a terrific dad, offering unconditional love and support to his kids; allowing each to pursue varying and different interests and career paths. Greg, Todd and Amanda do well today as a result. Jim was a wonderful ”Grandpa Jim” to Cody, Owen, Hannah, Graham and Kordae. Again, offering unqualified love and support to each. His professional career was devoted to teaching and helping youth. The final 25+ years of his career was with the Vancouver School District where he served in several roles including Director of Special Education, and Principal of Fir Grove School. When asked of memorable highlights of his work, Jim replied that he felt good about times of helping at-risk youth to learn effective life-skills that enabled them to finish school and which positioned them for success going forward. Jim was active with the Daybreak Youth Services organization, providing insight and help as a member of its Board of Directors. Jim was active in making a positive impact in his community by helping to lead a cross-functional community team in the development of the Fruit Valley School and Community Center. He was also an active member of the Vancouver Lions Club. 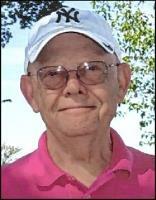 Jim was an avid golfer and played regularly rain or shine with his many golfing friends. He also enjoyed playing cards and the occasional visit to the casino from which were told stories of splitting, doubling down, or otherwise making a big win. Jim was known for his easy-going style, pleasant personality, and positive outlook. It was frequent that conversation with Jim was sprinkled with a chuckle or laugh. For those who knew Jim, their lives have been enriched as a result. He will be remembered and missed. A memorial service will be held Friday, October 26, 2018 at 3:00 p.m. at Evergreen Memorial Gardens, 1101 NE 112th Ave., Vancouver, Washington. In lieu of flowers, his family requests making a donation to the Daybreak Youth Services Organization.